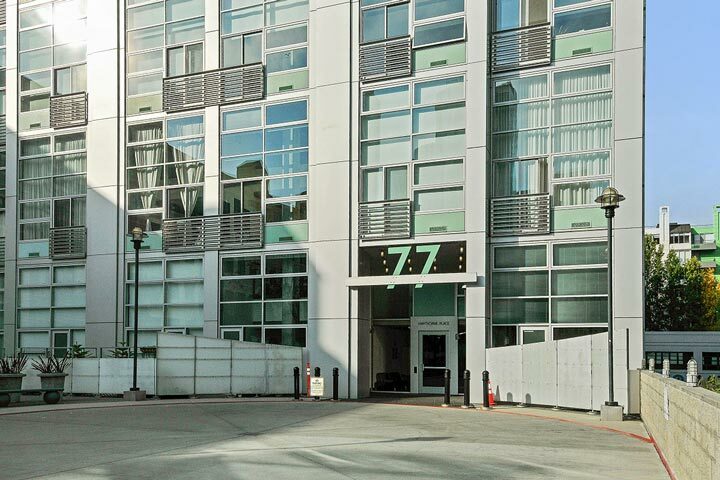 The Hawthorne Place condos are located at 77 Dow Place in San Francisco, California. Situated in the heart of the South Beach area and featuring upscale condo lofts near the AT&T Park. The lofts offer a beautiful blend of clean lines mixed with concrete surfaces that are accented by high ceilings and floor to ceiling glass. Select units in this building will offer wonderful city views. 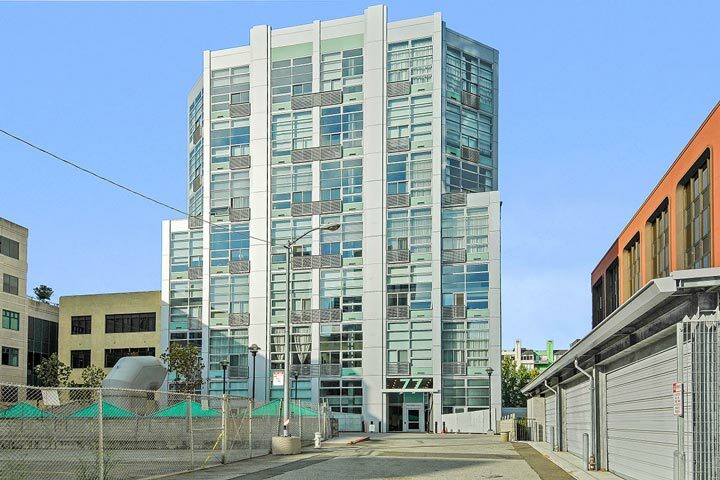 Below are the current The Hawthorne Place condos for sale and for lease in San Francisco. Please contact us at 888-990-7111 with questions regarding this community and any of the condos listed for sale here. The Hawthorne Place building offers many neighborhood amenities which includes a location near the South of Market area that is within walking distance to many amenities. The location is really ideal for those who work at Apple Office, Linkedin, CNET and CBS. Local transportation and BART is located nearby as well. All the units in the Hawthorne Place are one bedroom units that range in size from 829 to 1,095 square feet. The main living quarters are located on the lower level with a staircase that goes up to the loft bedroom area.